**REDUCED** Welcome to this stunning Chadwell built home located in the beautiful community of Citrus Wood. Nestled on a cul-de-sac, it features 4 bedrooms, 3 bathrooms, separate study/den, and an over sized utility room. Large Master suite has sitting area with french doors leading to the pool, and a luxurious spa like en-suite with a garden tub, separate shower, and his and her vanities with granite counters. Two of the secondary bedrooms have adorable window seats. Kitchen opens to the family room making entertaining a breeze! Other features include a gas fireplace, tray ceilings, upgraded lighting, crown molding throughout, and wood laminate flooring. The kitchen has Quartz counter-tops, solid wood cabinetry with dental crown molding, stainless steel appliances, a kitchen nook, island and a walk-in pantry. A set of french doors off the family room lead you out to your backyard oasis. 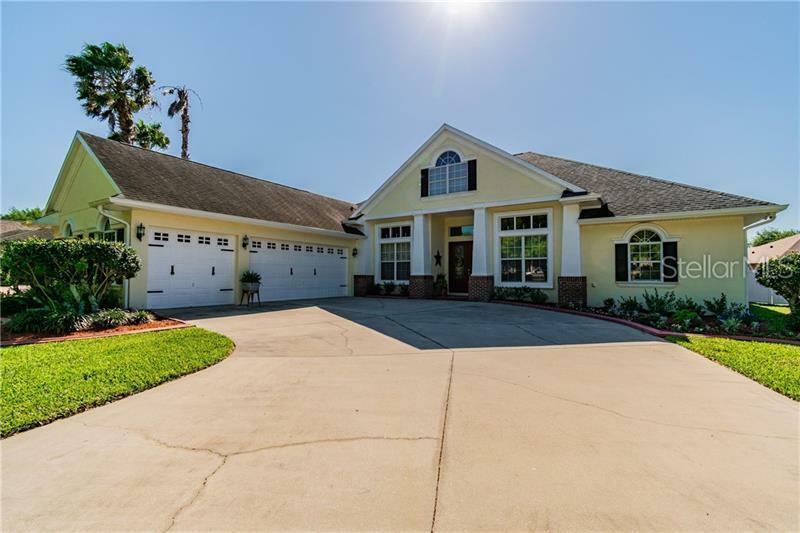 Large covered lanai with 3 ceiling fans, a built in BBQ area with natural gas hook up, sparkling heated screened pool with water features, tropical landscaping, and a completely fenced in yard. Home was just freshly painted outside. There are 2 water heaters (a gas water heater separate from the master suite's electric water heater), a Ring doorbell/security system, keyless entry, closet dehumidifiers, and 3 zoned A/C. Centrally located with easy access to the interstate, major highways, top rated schools, and restaurants.